Beatrice was born and raised in the Abnegation faction, but chooses Dauntless because she feels it is who she truly is. 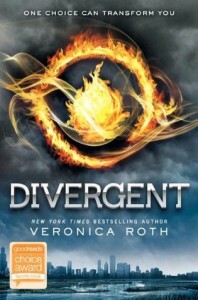 However, her aptitude test was inconclusive, and she is "Divergent" - a fate that is mysterious but also dangerous. Once in Dauntless, she begins again under a new name - Tris. Tris is strong-willed, courageous, and reluctant to show weakness, particularly during her initiation into Dauntless. While she thrives in her new faction, she still feels strong ties to the family she left behind. Tris’s brother. Like his younger sister, Caleb shocked his family by choosing to transfer to Erudite, though he had always appeared to be Abnegation through and through. Caleb and Tris have shared a very close sibling bond over the course of their childhood.